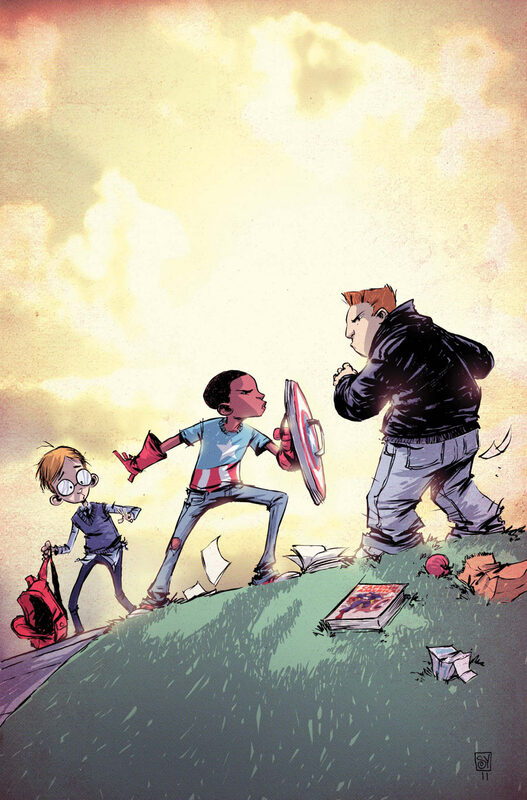 COVER OF THE MONTH: Skottie Young - FF #5 (I Am Captain America Variant) Doing a series of variant covers showing everyday folk who embody the 'Captain America Spirit' is an awesome idea. The feeling is the heart of the character and no variant shows that more than the trusty pen of Skottie Young. 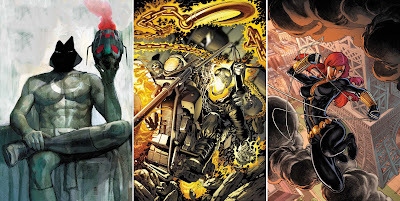 CLOSE CONTENDERS: Alex Maleev - Moon Knight #2, Arturo Lozzi - Ghost Rider #0.1 and Michael Ryan - Fear Itself: Black Widow #1. For more Marvel June solicitations click the jump. Is there any Iron Man or a Loki blog that you know of? That is such a great concept. Love it. Glad you guys dig the 'I Am Cap' concept as much as I do. Wizard once ran a design the Cap of your country competition. I designed Captain Kiwi, but never sent it in... maybe I should scan him for here. As for Loki Aliera I'm not sure the guy has his own blog, heck I'm not seven sure if Thor has one! Iron Man though is a different story. As a guy who collected Iron Man from the early 80's right through to Secret Invasion the fan magazine Advanced Iron was an amazing effort long before many blogs existed. Find Advanced Iron here http://www.advancediron.org its not running like it used to but I think even the back issues should be good to flip though. Also the (b)uckyeah! series on tumblr is great - try http://fuckyeahshellhead.tumblr.com and http://fuckyeahthor.tumblr.com as good starting points for each.